Maddy grew up in Vermont’s capital “city,” which she left to take a gap year, working with FEMA and AmeriCorps on disaster mitigation in California and Washington. Back in Vermont, Maddy is a senior at UVM where she studies environmental studies and political science. 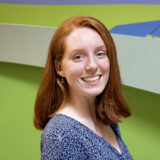 During the summers, Maddy has worked in the VT Governor’s Office and Department of Environmental Conservation and this year is ecstatic to join SunCommon and help Vermonters transition to local, sustainable energy practices. After work you can find Maddy running or biking along Lake Champlain, but she is more likely to be seen eating some combination of bread and cheese.